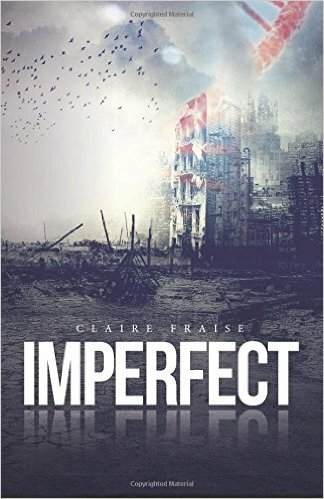 16 year-old Claire Fraise began writing Imperfect as a high school freshman. She lives in Connecticut with her parents and younger brother. 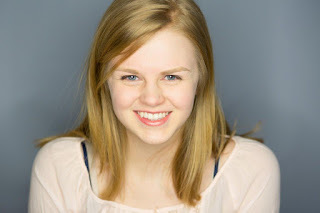 In addition to writing, Fraise is passionate about musical theater and founded a dog rescue company at the age of 13. She is an obsessive reader, loves playing the piano and guitar and cuddling her two dogs. It’s hard for teenagers to be taken seriously, especially teenage writers. I mean, sure, I guess I understand why. We don’t have college degrees. Writing isn’t yet supposed to be a career for us and we haven't been "taught" how to do it well yet. We don’t have the same plethora of real-world experiences that adults have. We are teenagers and teenagers are commonly viewed in an extremely negative light. Parents dread the day that their darling daughter or son hits thirteen and gets sucked into the black hole of immaturity, irrationality, and rebellious behavior. Most adults don’t find teenagers capable of doing much let alone penning a novel, starting a company or making a real difference in the world. The admission "I have a 15 year-old" elicits sympathy from other adults the way a chronic disease does. YA authors ARE YA characters. All of the most popular YA books of the twenty-first century have protagonists between the ages of fourteen and eighteen. Hazel Grace Lancaster, Katniss Everdeen, Percy Jackson, Cadence Sinclair Eastman are all teenagers because teenagers are the targeted audience for YA books. Yet all of those characters are written by adults racking their brains to try and remember how teenagers think—how they themselves thought when they were teenagers. Some are successful yet many times teenage readers face the “there’s no way anybody would ever react like that” syndrome and immediately disconnect from the work. The real-life elements that adults put into their YA novels are based on their distant teenage memories or what they observe from teenagers around them, but these experiences have been put through an adult filter. Teens are forming their memories today. We know what thoughts go through YA characters’ heads and are familiar with the day-to-day challenges that our age-bracket faces. 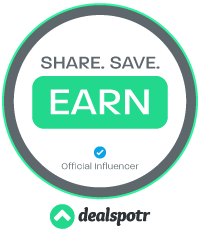 We know firsthand what it’s like to get your drivers license, your first kiss, and the ups and down of social media driven relationships. We know how we talk to our friends, how others talk to their enemies, and what sixteen-year-old boys really say when they’re trying to flirt with their crushes. We have this information on our fingertips because we are exposed to it every day. We are living those things now. I’m not degrading YA novels written by adults in any way (some of them are my absolute favorite books), but YA novels written by teenagers have an aura of freshness and truth that you can’t find anywhere else. We know what we want to read and we read A LOT. We know what works and what doesn’t in this genre. We can pick up on the trends. We hunger for real characters and honest voices. We hate cheesy dialogue, artificial relationships, formulaic love triangles and hurried developments. We hate having to cobble the personalities of four different cliche teen characters to come up with one real teenager. We hate the black and white, good and bad delineation of characters that conveniently ignores the fact that we live in shades of grey. People are multi-dimensional. People are different and react differently to things. Going on interesting, non-cliché adventures with authentic teenage characters that we can connect to is why we love reading. Our real-life experiences can be effectively tied into our novels. We know we haven't lived long and we don't have the mosaic of life experiences that adults have, but our experiences have not been polished by the passage of time and are bursting with raw and often conflicting emotions. For example, while I was working on my debut novel Imperfect, even though I had never experienced many of the things my characters were going through (thankfully), I knew how my peers would face the situations emotionally and that was the key driving factor behind all of Summer, Tyler, Blayze, and Flame’s actions. Teenagers feel big. Yes, we can be idealistic, hopelessly romantic, and bitterly sarcastic at the same time but it is because we take every feeling we have to the extreme to really feel and experience a situation. Because of that, we know exactly how YA characters should react in certain situations and when they don’t line up in books, it’s frustrating. YA novels written by YA writers can be pretty special. Because teenage writers know what they want to read and are constantly surrounded by real-world experiences that we can tie into our novels, our works have a sense of authenticity that is hard to find in any other books. Writers write what they know and we know who we are. They call it the Slump: a city of ruins where orphaned street kids struggle to survive. But to fifteen-year-old Summer Greenwood, it’s home. Not a good home, but at least there she can find food and shelter for her sisters, Lily and Tory. To the powerful Making Perfect corporation, however, the Slump is a gold mine, a source of unending test subjects. Once a month, squads of company officials invade the ruins to capture orphans for their facilities. What happens to the kids they take is unclear—none of them ever return. Then Summer herself is taken. Forced into a series of grueling experiments, she soon discovers that Making Perfect’s ultimate goal is far darker than anything she imagined. As she fights to get back to the Slump and her now-defenseless sisters, she begins to understand why once you enter Making Perfect, you never get out. Hmm, she has well thought out points about teen writers. Will be interesting to read. And my favorite dystopian novel is The Hunger Games.